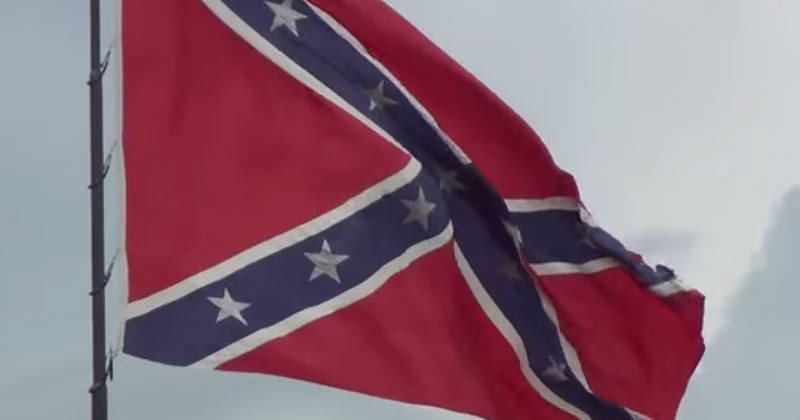 Liberals today can celebrate their trouncing of Southern Pride and tradition, as they “eliminated that racist symbol of the South,” perhaps saving the lives of black Americans. Apparently not a single black was killed over the weekend in ANY town by the Confederate flag! I know; SHOCKING, given the vile nature of that flag. It’s a wonder how black people have survived in the South all these years with that mean-spirited racist flag at the ready to pounce on unsuspected blacks. And what a weekend to stop that flag, because in Chicago alone, 3 people were killed, and over 17 wounded. What would the carnage have been had the Left not stopped that Confederate flag?! Sure, some might argue that the statistics would be the same, but only those who choose to IGNORE the heinous nature of that flag. Since the flag is gone, I was shocked to learn that 3 people were killed. After all, without the menace of that Confederate flag, one would think that Chicago would be Utopia, especially for blacks. According to police, a 22-year-old man was shot to death Sunday afternoon in the Roseland neighborhood on the Far South Side. This man was black, and he did something dangerous in a time of the Confederate flag, as the man was walking in the 9900 block of South State Street at 2:10 p.m. when a vehicle drove up, and someone inside fired shots. What was this man doing out walking in the middle of the day, when he knows ain’t nothing but trouble waiting to happen at 2:10 p.m. in the afternoon. The man was shot in the head and pronounced dead at the scene, police said. The Cook County medical examiner’s office could not confirm the death Sunday night. A source said the victim is a documented gang member. Here’s another story. This one happened on Saturday evening, as a 21-year-old man was shot to death in the South Side Greater Grand Crossing neighborhood. What’s up with the South Side of Chicago? I thought Obama “community organized” this area of town? Anyway, Eric Turner was standing outside near a home in the 7300 block of South Dorchester at 7 p.m. when someone walked out of a gangway and fired shots before running off, according to police and the medical examiner’s office. Again, I ask you why was Eric Turner standing around on his block at 7 p.m.?! Why was he not barricaded in his home, hiding from that Confederate flag. Perhaps Eric Turner developed a false sense of security, and ventured outside, only to be shot by an unknown black male who thought Eric Turner was a Confederate flag? Turner, who lived on the same block where he was shot, was taken to Northwestern Memorial Hospital, where he died at 7:43 p.m., according to the medical examiner’s office. A 32-year-old man was shot and killed early Saturday in a Back of the Yards neighborhood drive-by. There is good news. As all the killings in Chicago were not black on black crime. About 3:40 a.m., Joaquin Rocha was a passenger in a car in the 4500 block of South Hermitage when an SUV pulled alongside and someone inside opened fire, striking him in the torso, police and the medical examiner’s office said. Rocha, of the 4700 block of South Springfield, showed up at Christ Medical Center in Oak Lawn, where he was later pronounced dead, authorities said. This could have been FAR worse, but thankfully Liberals stopped the selling of that Confederate flag!